Writing of the introduction for YUCOM’s annual report, as well as the introduction to the text which presents the overview of the status of human rights in the year behind us, is placed in the context of the situation in the media and TV programs which were cancelled during previous year, and which have left the mark on the media scene in Serbia. 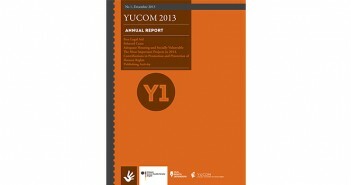 YUCOM’s 2013 Annual Report is product of comprehensive all-year efforts and concretization of the idea of an overview of YUCOM’s activities, modeled on annual reports being published by regulatory bodies and by international human rights organizations. As one of the most influencing think-thanks in Serbia and the symbol of support to citizens when it comes to protection of their basic human rightsYUCOM is presenting its first annual report with the review of provided legal aid in 2013 and selected case studies, also with overviewof all the contrbutions to improvement of human rights protection as well as with the text about this issue’s specific theme which is the right of adequate housing of marginalized and socially disandvantiged groups in Serbia. YUCOM’s 2013 Annual Report is a product of comprehensive, all-year efforts and concretization of the idea of an overview of YUCOM’s activities, modeled on annual reports published by regulatory bodies and international human rights organizations. 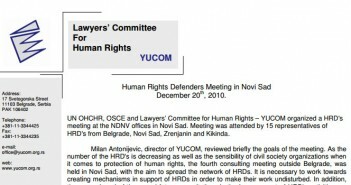 As one of the most influencing think-tanks in Serbia and the symbol of support for citizens when it comes to protection of their basic human rights, YUCOM is presenting its first annual report with a review of provided legal aid in 2013 and selected case studies, along with an overviewof all the contrbutions to the improvement of human rights protection. There is also text about this issue’s specific theme, which is the right of adequate housing of marginalized and socially disandvantiged groups in Serbia. YUCOM conducted research on views of Serbian High School Students about Minority Groups, Violence, and Discrimination. The survey was given to over 800 senior high school students in schools where YUCOM held training sessions about discrimination. Vocational schools and university preparatory schools were equally represented. On the 26 and 27th of June, YUCOM participated in the Fifth Assembly of the Coalition for REKOM and in the Forum for Transitional Justice in Post-Yugoslav Countries, which were held in hotel Holiday Inn in Sarajevo, Bosnia and Herzegovina. Amir Kulaglić and Vesna Teršelič opened the Assembly, noting that the consultation process is completed successfully adopting statute of REKOM at the last session, when new strategy was defined and important decisions were made for routing further course of action. Vesna Teršelič expressed hope that the Assembly would pose as an incentive, since the need for establishing REKOM still exists. The cardinal points of the adopted agenda were related to the amendments to the statute of Coalition for REKOM and to the reporting on the activities of REKOM. The proposed statute changes are cosmetic and structural, but more importantly also quintessential. The latter is related to former Art. 14, which is Art. 15 in the proposed statute, Art. 26 or Art. 32, Art. 27 or Art. 33 in the proposed new statute, while Art. 22 was removed. Upon completion of the hearing on the amendments and it was concluded that the changes relate to Article 3 of the former statute, Article 9, paragraph 3 and paragraph 5, Art. 23, paragraph 1, paragraph 2, paragraph 10 and paragraph 12. Our intention with this project was to contribute to creating a constructive dialogue between representatives of public authorities on one side and citizens on the other regarding possible ways of how this constitutional right to petition and recommendation can be realized, in the goal of alleviating some of the confusion which might surround these issues (do the public authorities have special departments and procedures which regulate how petitions and other recommendations are replied to; what are the main obstacles for replying to petitions and recommendations) and to thoroughly investigate the facts so as to be able to make precise recommendations for further handling of the matter. Ruzica Banda, Human Rights Officer at OSCE Mission to Serbia, reminded that OSCE recognizes protection and respect of human rights as the core issue of security, therefore it acknowledges the need for creating special mechanism for addressing issues of human rights defenders within OSCE, as it was created in 2007, within ODIHR, Warsaw. ODIHR provides support to civil society and to the states – human rights conventions signatories. Recognizing the importance of civil society and human rights defenders, in 2007 OSCE appointed contact person to independent human rights organizations for implementation monitoring by the signatory States, in addition, the contact person is the focal contact point in cases of serious violations of rights of HRDs. Lawyers’ Committee for Human Rights – YUCOM, OSCE and UN OHCHR organized a human rights defenders meeting at the OSCE offices in Novi Pazar. Meeting was attended by 12 representatives of human rights defenders from Novi Pazar, Priboj, Prijepolje and Tutin as well as representatives of Helsinki Committee for Human Rights, OSCE, UN OHCHR and YUCOM. 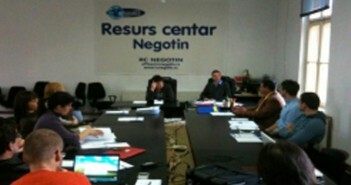 Milan Antonijevic, director of YUCOM, reviewed briefly the goals of the meeting. 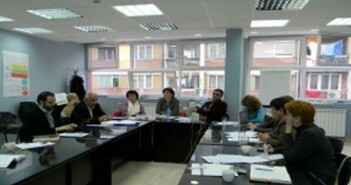 As the number of the human rights defenders is decreasing as well as the sensibility of civil society organizations when it comes to protection of human rights, the second consulting meeting outside Belgrade, was held in Novi Pazar, with the aim to spread the network of human rights defenders. It is necessary to work towards creating mechanisms in support of human rights defenders in order to make their work undisturbed. 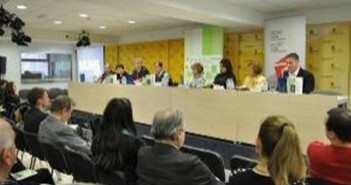 The panel discussion “Inclusion of Citizens in Social and Political Life Through the Right to Petition and Submit Recommendations” jointly organized by YUCOM – the Lawyers’ Committee for Human Rights and the Heinrich Boell Foundation, was held in Hall 3 of the Assembly of Vojvodina in Novi Sad on the morning of May 25th, 2010. 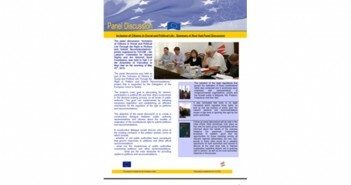 The panel discussions was held as part of the “Inclusion of Citizens in Social and Political Life Through the Right to Petition and Submit Recommendations,” project that is supported by the Delegation of the European Union to Serbia. The project’s main goal is advocating for citizens’ participation in political life and their direct involvement in the decision-making process on all levels of public authority. This goal can implemented by adopting necessary legislation and establishing an effective mechanism for the regulation of the right to petitions and recommendations. The objective of the panel discussion is to create a constructive dialogue between public authority representatives and citizens about the models of realization of the constitutional right to submit petitions and recommendations.